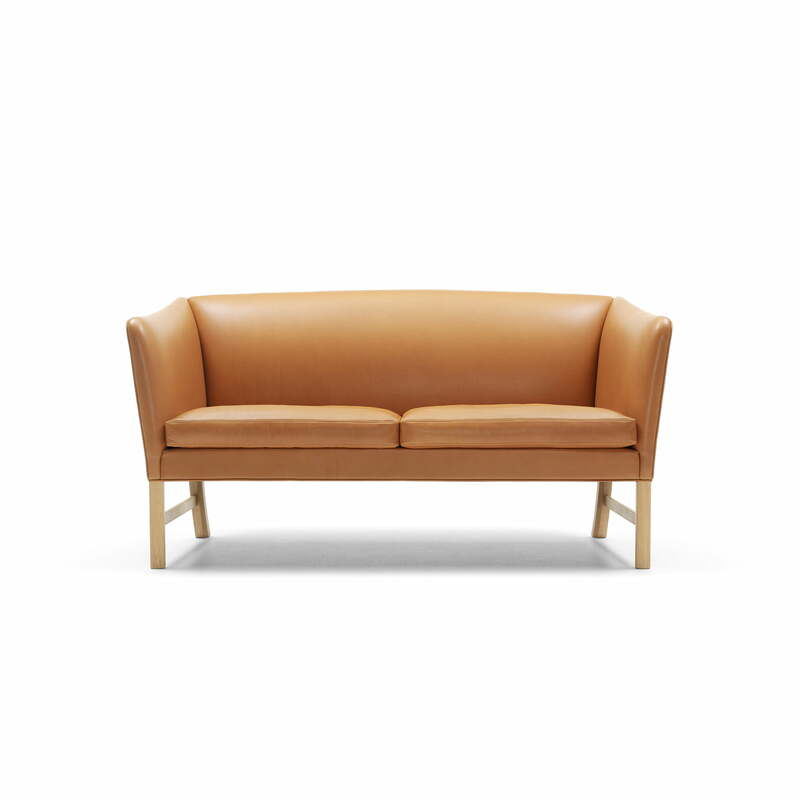 The couch OW602 is a classic example of Danish design and reminds one of both English and Oriental furniture thanks to its design language. In 1960, the OW602 Sofa was designed by Ole Wanscher as part of an entire living room set up for an exhibition of the Carpenters’ Guild and is now available again. The simple, elegant sofa for 2 is excellently suited for modern living. With solid wood legs and sturdy and soft upholstery, the sofa appears timelessly simple and offers the highest level of comfort. The sofa is based on a solid wood frame and features padded seat cushions with flame retardant foam and down filling. A variety of leather and textile upholstery is available for the cushions. The textile cushions, as well as the cushion covered in leather, can be used on one side only. Individual image of the OW602 2-seater sofa by Carl Hansen. An elegant sofa in mid-century design of Ole Wanscher with wooden base and the Gabriel Byron fabric cover in light grey. Image of the 2-seater OW602-2 by Carl Hansen made from oiled oak and leather SIF 95. 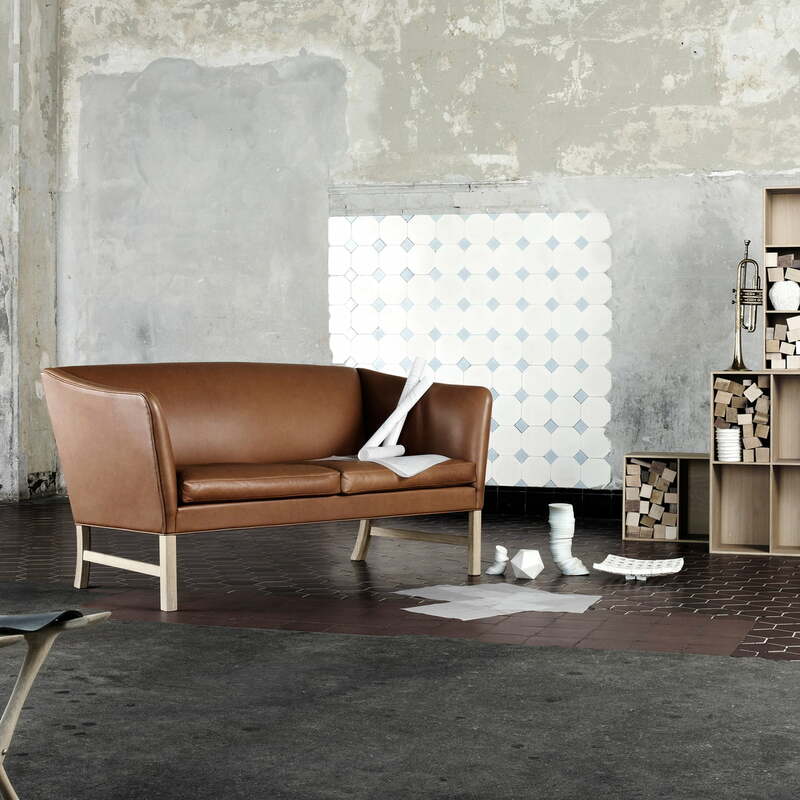 The sofa was designed by Ole Wanscher in 1960 as part of an entire living room furniture set. The couch OW602 by Ole Wanscher for Carl Hansen is a classic example of Danish design and reminds one of both English and Oriental furniture thanks to its design language.